Relaxation and fun are amongst the reasons why we own pools. However, there is always a catch. Swimming pools require repairs and maintenance checks which are labor intensive duties. Our company works effortlessly to provide the very best in swimming pool repair services. Give us a call at (925) 269-9399 ​ to get an estimate for swimming pool repairs. We repair all types of pools; fiberglass, concrete, aggregate finish, tile and vinyl lined pools. The list is endless. We are a licensed company, insured, offer the best customer services. We have trained experts in pool repairs. Pool plumbing repairs - These repairs include PVC plumbing repairs, installing or replacing equipment in the pool plumbing system. It may seem easy at its start but with a professional by your side, be rest assured of the best deals and prices. Pool leaks detection - Swimming pools should be watertight to hold the amount of water it was built for. However, sealants deteriorate with time while other parts wear out. For pool leaks detection we use various parameters to detect if your pool is leaking. Is your pool leaking with your equipment on or off? Does your pool leak frequently? Are there leaks in the equipment pad? Are there any wet areas around your pool? By the end of it all we will have fixed the main cause of leaking in your pool. Pool leaks repair - Pool leaks drain your pool and raise your water bills to unimaginable proportions. After carrying out a leak detection inspection, we proceed to repairing the leaks by using a variety of methods. These methods depend on where the leak is located and the type of your swimming pool which can either be an above ground or in ground pool. This task is effective as it will minimize your water bills thus saving your money. 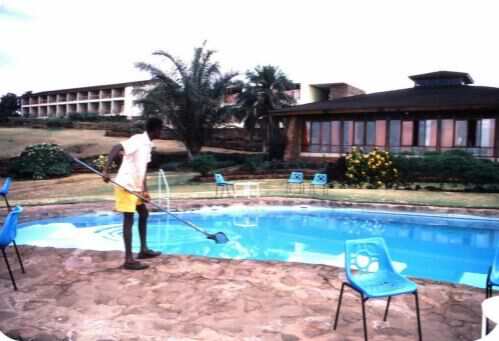 All these are done every time we visit your pool leaving it clean and fresh. Air in the pump’s basket. Pump no longer functioning properly. Having a noisy pump motor. A motor that fails to start. ​ As experts in pool pump repairs we will get right to it and rejuvenate your faulty pumps. Pool Resurfacing - This is a great way to upgrade your pool. The last thing a client needs is a bad pool resurfacing job after spending a lot of money on his or her pool. We use decorative tiles in accordance to our client’s preferences thus having an elegant customized pool. Pool resurfacing is done correctly, in time and kept in line with your budget. Please give us a call via our office line at (925) 269-9399 ​ or send us an email with your shared thoughts for us to begin right away.